This would involve a secondary ERV unit to serve the composting toilets only. This requires the use of an ERV that has virtually no cross flow leakage. This will prevent the exhaust from entering the supply air. To create a regenerative and resilient world where humans live in alignment and contribute to the natural systems we are part of, the best strategies and thinking need to be combined, synthesized and deployed. Combining Passive House and Living Building Challenge forced the project team to think and rethink goals, processes and outcomes in a way that maximized benefit and created abundance. For example using Passive House standards to achieve a net positive energy building that meets the Living Building Challenge the design team is creating a building that uses less energy than allowed by LBC and at the same time eliminates the need to use the fossil fuel allowed by Passive House. Finding components and materials that can achieve the rigorous thermal and airtightness requirements of Passive House as well as satisfy the toxicity reduction goals of LBC makes for a better building and a healthier planet. Combining the deep and thoughtful work embodied in Passive House and Living Building Challenge is a wonderful struggle that is leading the team to be innovative, creative and regenerative. The Passive House Source Energy target equates to site energy usage multiplied by a utilization factor of 3.16 for US electricity; for a non-residential building this target is 38 kBTU/sf/yr. For a 2500 sf building, this translates to 8,782 kWh/yr in site energy (building energy) use. The relatively high occupant load for this project, combined with the restriction on combustion, makes this a difficult target to achieve. LBC requires net-positive energy, but allows achievement of this target with unlimited renewables, whereas Passive House limits the amount of photovoltaics (PV) which is “deductible” from the project’s building energy use to reach the target. Incorporating battery backup energy storage increases the amount a project can deduct for PV. This project has undergone a feasibility study by the Passive House Institute US. The design team provided design drawings, a 3-D model, design and mechanical narratives, occupant schedules and usages to the staff at PHIUS. PHIUS then used that information to create a WUFI energy model for the project, which contained two design cases – one as proposed by the design team, and a second modified as required to meet Passive House requirements. The model verified for the design team that the source energy target was the most challenging aspect of Passive House for this particular project, but that the target was achievable through incorporation of an 8kW PV array and minor modifications to envelope components and mechanical system efficiencies. The PV necessary to achieve the LBC Net-Positive Energy target is greater than the 8kW array needed for Passive House, so the project benefits from the combination of the two standards, in that the LBC Energy Petal also helps the project achieve Passive House. For this project to achieve Passive House, based on the Passive House Case in the WUFI model provided by PHIUS, the ERV efficiency level needs to be 85%, and the envelope design needs to provide insulation levels of R-83 in the roof, R-61 in the above grade walls, R-50 in the below grade walls, and R-48 in the slab, with U .12 windows. The model is extremely useful as a tool to analyze trade- offs and decisions. For example, lowering the efficiency of the ERV results in a failure to meet the heating load limit, which would result in a need to increase insulation levels to compensate. As the insulation levels described are already high, which equates to thick envelope components, it would be preferable to find an 85% efficient ERV which meets the other LBC requirements. In another case, reducing the coefficient of performance (COP) of the heat pump results in a failure to meet the source energy target with the 10kW PV array as modeled; however, since the designed PV array is larger, the project may be able to absorb a slight reduction in heat pump efficiency. At the same time LBC does not allow a gas-fired water heater, and an electric water heater results in a failure of the source energy target. The PV could potentially cover the electric water heater energy use, depending on other trade-offs taken, otherwise a combination heat pump/water heater would need to be incorporated. As a goal of the project is to minimize the energy use to reduce the amount of PV required, the design team will need to make these choices carefully. Our next post will briefly discuss the considerations for including composting toilets in a Passive House design, and provide a conclusion to our Passive House series. As an enhancement, and complement, to the Living Building Challenge; the design team is working to meet the Passive House Standard for Nuthatch Hollow. The Living Building Challenge is rigorous, demanding, and well-rounded as a “Sustainable Building” standard. It sets up a great framework for nesting smaller scale, more specific goals. The LBC Energy Petal intent is “To rely solely on renewable forms of energy and operate year-round in a safe, pollution-free manner.” [i] To satisfy this intent, petal achievement requires the project to supply 105% of its energy needs by on-site renewables on a net-annual basis, without on-site combustion, and provide energy storage backup for resiliency. A project meeting this requirement is creating more energy than it uses every year. As net-zero buildings become more mainstream, the LBC net-positive energy target is the next step forward to doing good, rather than less harm. As a complement to the LBC requirement, the intensive energy use reduction requirements of Passive House result in an even better investment: a building with a greater level of resiliency than that of net positive energy alone. The Passive House Standard lends further rigor to the energy design of the project, resulting in a building which remains comfortable and safe in changing climates and extreme weather, with less reliance on energy production systems. The building science based approach of Passive House results in durable assemblies and healthier buildings. The combination of these two standards surpasses the achievements of each of them on its own. One of the goals of this project is to serve as an example, and a teaching tool, for how to design better, more sustainable buildings, to make sustainable design and construction more accessible to everyone. Passive House is based on the concept of global energy sharing, in that everyone on the planet gets the same energy allowance, sized to mitigate climate change. In order for this to work, it needs to happen on a global scale, which means it needs to be achievable by everyone. The more Passive House (and LBC) projects which are constructed, the more mainstream these targets and strategies will become. 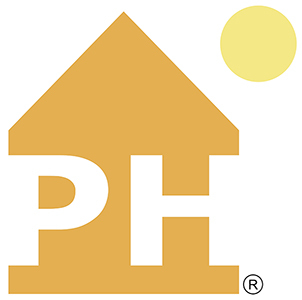 Through this process and this project, people will learn about Passive House and the ways they can apply the same strategies, goals and principles to their own houses and buildings. How these two standards work together is a significant area of exploration at this stage of the design process. Over the next couple blog posts we will discuss specific aspects of that exploration.